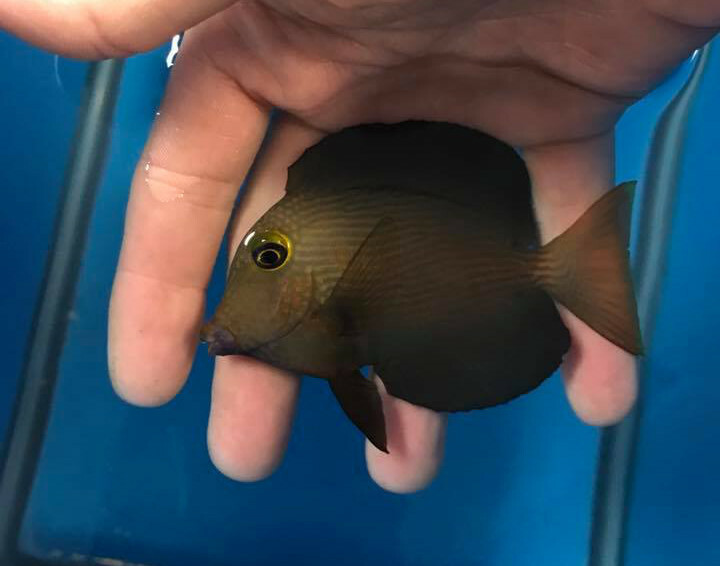 At first glance, this darkly colored tang might not seem like anything particularly special, but it’s probably one of the rarest hybrids to enter the aquarium trade. 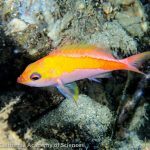 It was collected in Hawaii and is said to be one of just a handful of its kind to have ever been found. 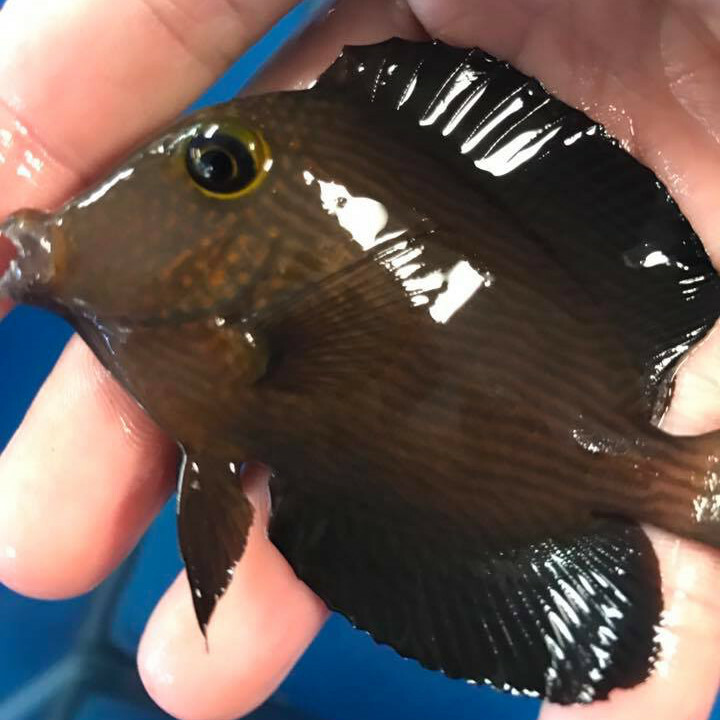 Some quick detective work reveals the parents of this specimen as likely being a Kole Tang (Ctenochaetus strigosus) and a Chevron Tang (C. hawaiiensis). 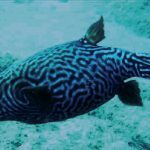 The salient traits to look for here are the gold ring around the eyes and the spotted head, both associated with C. strigosus, as well as the relatively dark colors of the body and the faint trace of orange in the opercular spots, which hint at C. hawaiiensis. 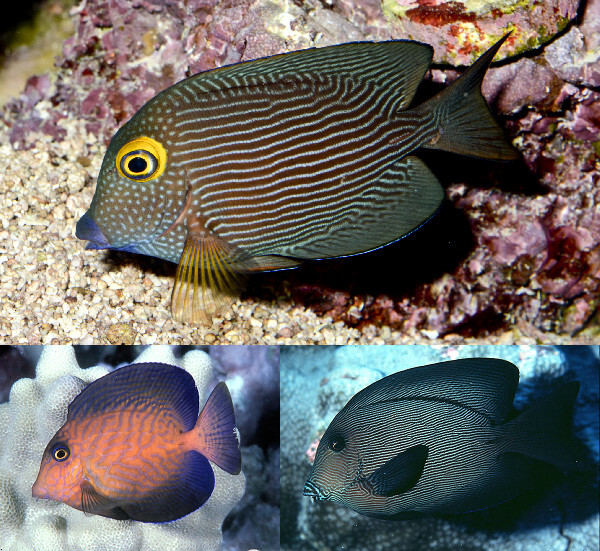 These are, in fact, the only two species of bristletooth tang to occur in Hawaii, so it’s no great surprise that they would interbreed on occasion. 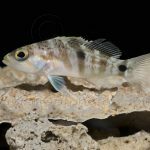 But it is a bit perplexing that this hybrid should be so uncommon given that both of the parent species are closely related and fairly abundant in the region. 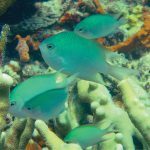 You might think that with such large population sizes there would be ample opportunity for interspecies pairs to form, but the opposite might be true. 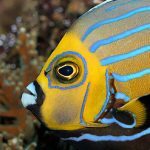 It may be that there just isn’t all that much incentive for these fishes to mate outside their own species when there are so many of their own kind swimming around.